Published October 19, 2017 at 200 × 300 in Birthday Cakes. I just wanted to say THANK YOU so much for the delicious cake you made for baby Max's shower yesterday. It was delicious and absolutely the most beautiful masterpiece of a cake that I, and all of our shower guests, had ever seen! It was such a shame to cut into our jungle cake, but we were all overjoyed by the delicious flavor once we tasted the cake! I want to plan another special event just to have you make the cake :) Your pricing was extremely competitive and very reasonable, in fact it was over $100 less than another Chicago cake maker had quoted me!! 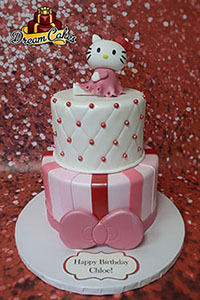 I will definitely recommend you to all my family and friends looking for the best looking and best tasting cake in Chicago! !